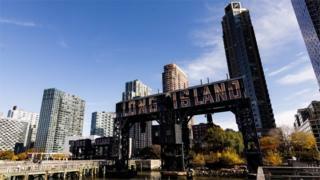 A group of New York business, political and community leaders have asked Amazon to reconsider its decision to scrap plans for a new campus in the city. The campaign comes weeks after the firm backed away from the project, citing some local opposition. Amazon had pledged to invest about $2.5bn ($1.9bn) to create the hub, which would add 25,000 jobs. In exchange, the city and state had promised the firm almost $3bn in tax breaks and other benefits. The award helped to fuel vocal opposition to the project, even though it was backed by New York's governor and mayor. Polls also indicated that the majority of local people supported it. In an open letter to Amazon published in the New York Times on Friday, the group wrote: "A clear majority of New Yorkers support this project and were disappointed by your decision not to proceed. "We all hope you will reconsider." New York governor Andrew Cuomo has also called Amazon boss Jeff Bezos to try to change his mind, the New York Times reported, citing anonymous sources. However, the newspaper said there was little sign that the company is willing to re-open the conversation, which had spurred debate about corporate subsidies and concerns about how Amazon would affect rents in the area. In addition to abandoning the plans for a New York campus, Amazon has also reportedly scaled back expansion plans in its hometown of Seattle.